While most of us can’t avoid paying tax (legally anyway) there are things you can do to ensure you aren’t paying more than your fair share. Here’s a list of 9 things to help you reign in your tax bill. Yes,I can see the eye rolling, yes I am probably more than a little bit biased and yes accounting and tax returns are hardly rocket science. However, “We don’t know what we don’t know” It’s an accounting professionals job to know exactly what you can claim, what you can’t and the right way to go about it. We can’t all know everything about everything, and as small businesses we tend to try to do everything ourselves to save money, however this can be false economy as your time comes at a cost too (click here to read last weeks blog post about this very topic). By using software to keep on top your accounts and bookwork (ideally daily) means you are in a far better position to predict and plan for the taxes you will have to pay. Software such as Xero (Yes, I can see more eye rolling, just hang in there, I will get to the nitty gritty stuff very soon) is a really powerful tool to assist with keeping an eye on your cashflow which I believe is crucial to having a successful business. Also, a good filing system saves you money in other ways too, if your records are in some kind of logical order then the end of year tax process becomes so much more simpler and therefore cheaper if your accounting professional isn’t having to trawl through a bunch of random pieces of paper to find what they need. 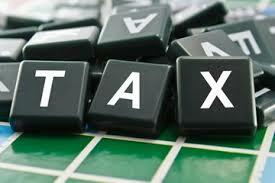 Does your bank know your correct tax rate? If your bank does not know your correct tax rate they will be deducting resident withholding tax (RWT) from any interest earnings you may have at a higher rate than necessary (resulting in too much tax paid) or worse yet a lower rate than required (resulting in extra tax to pay). While this will be included in your IR3 income tax return and any taxes owing by or to you will be settled then, it can add significantly to your end of year tax bill. Especially if your bank don’t have an IRD number on record for you at all, they will likely be deducting RWT at 40%! Are you claiming tax rebates on charitable donations? If you made a gift of money voluntarily to a donee organisation, where there is no identifiable direct benefit to you or your family within a period of four years following the year in which the gift was made you may be entitles to a tax credit. You will need receipts to support any claim. If you buy diaries, raffle tickets etc from a donee organisation (any situation where you get something in exchange) then you are receiving a direct benefit therefore it cannot be claimed as a donation. Are you entitled to an Independent Earner Tax Credit? Are you entitled to a Working for Families Tax Credit? some larger families earning more. Family Tax Credit (FTC), this is a payment to families with children, whether in work or on benefit, to help with the day-to-day living costs of the family. It’s paid by Work and Income when the family’s main source of income is a benefit, or by Inland Revenue when the main source of income is from work, a student allowance or NZ Super. In-Work Tax Credit (IWTC), a payment to working families with children. It pays up to $60 per week per family with three children, and up to an extra $15 a week for each other child. To get in-work tax credit, couples must normally work 30 hours a week or more between them, and sole-parents must normally work 20 hours a week or more. Provided the working hours condition is met, in-work tax credit is also available when parents are self-employed, receiving NZ Super or a Veteran’s pension. It’s not available to families receiving an income-tested benefit or student allowance. In-work tax credit can be paid for children for whom an Unsupported Child’s Benefit, Orphan’s Benefit or Foster Care Allowance is paid. IWTC is paid by Inland Revenue. Minimum Family Tax Credit (MFTC), a payment for families working for salary or wages earning up to $24,493 a year before tax and ensures families have a minimum income of $395 a week after tax. MFTC is paid by Inland Revenue. Parental Tax Credit (PTC), a payment for families to help meet the costs that come with having a new baby. The payment is for the first 56 days (or 8 weeks) after your baby is born and you can receive up to $1,200 depending on your family income. Receiving accident compensation payments, a benefit, student allowance or NZ Super during the 56 day period could affect entitlement. PTC is paid by Inland Revenue. To see if you might be entitled to a working for families tax credit you can find a copy of the working for families payment table here or a calculator here. Many of the thresholds and values in this post are subject to change, it is always worth checking with an accounting professional, IRD or WINZ for more detailed information regarding your personal situation. If I can be of further assistance please do not hesitate to contact me. My contact details are in the top right of this page. For regular updates, tax reminders and a copy of my newsletter straight to your inbox please subscribe to my mailing list, you will find the button right below my contact details. How many of these 9 things could be reducing your tax bill? ← Do you put enough value on your time?